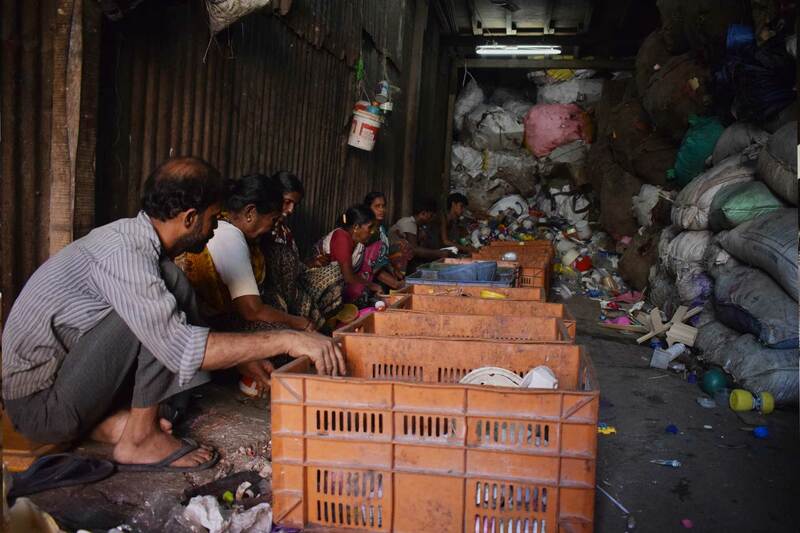 Our introduction to Dharavi aims to give visitors a much more nuanced understanding of life and work in Mumbai slums. Family Lunch: Towards the end of the tour, we will walk to a nearby family home for a vegetarian meal. 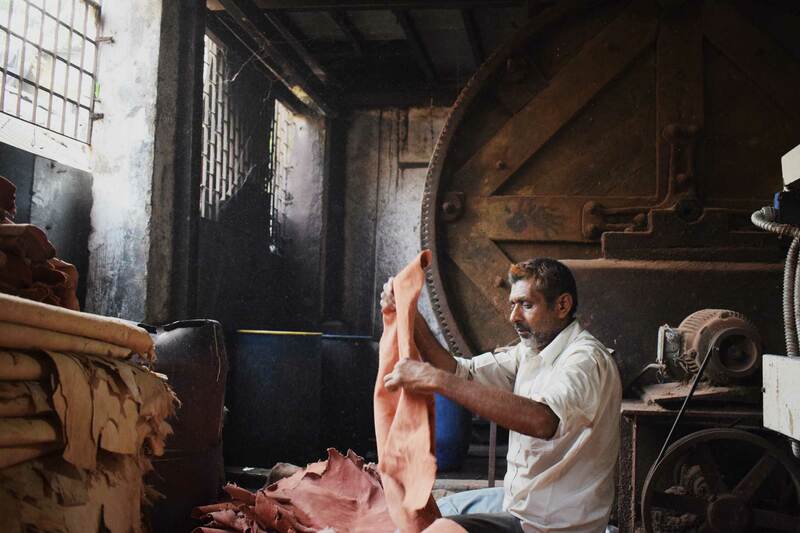 Not only will you get additional insight into Dharavi, but you’ll provide a local family with some extra income. Get comfortable and feast the local way, sitting on the floor and eating with your hands. Up for more? Lunch will end with the perfect amount of time to make it to the start of our South Mumbai Market Tour. 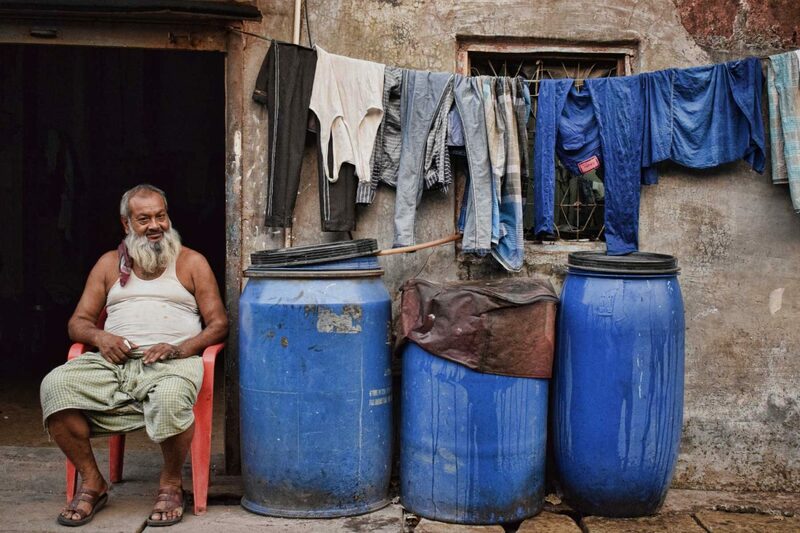 The Kumbbharwada neighborhood is more than 150 years old and is the oldest part of Dharavi. Artisans create various types of earthen pots that are shipped all over India. After the tour, enjoy a vegetarian lunch in a local family’s home. Ends where we eat lunch near 90ft road. The nearest intersection is 60 feet and 90 feet road. Your guide will help you find the best way to get where you’re going next. The Dharavi Tour with Car Transport seems very long. Why is this? For the “with car transport” option, the total time is approximately 4.5 hours. This includes transport to Dharavi and back from our office in Colaba, or to and from your hotel. For people staying in Colaba, if you were to catch the train/taxi to Dharavi from Colaba, the transport time would be approximately 50 mins to an hour each way, so the total time to do the Dharavi Tour and the Dharavi Tour with Car Transport is approximately the same. How is the private tour with car transport different from the shared version? On the shared version, you will need to meet outside our office in Colaba at the stipulated time. On the private tour with car transport, other visitors will not come on the tour with you and we will come to your hotel or residence to pick you up and drop you back. The tour is more flexible as well to what you want to see. Since we pass by areas of interest between Colaba and Dharavi, to get the most out of the private tour, it is best to start from Colaba, Fort or Marine Drive. For tourists staying in other parts of Mumbai who wish to do the private tour with transport (and hence be picked up from their hotel) we can advise on what will and will not be included in the tour depending on the location of your hotel. I am staying in Colaba. Where should I meet for the short tour? The easiest place to meet the guide is at Churchgate station- this is a 15-20 minute walk from Colaba. I am staying near the airport/Juhu/Bandra. Should I do the Dharavi Tour with Car Transport? If you would like car transport then a private tour with car transport would be a good option. This way we could pick you up directly at your hotel. But please note that only the Dharavi part of the trip would be covered (ie. you would not see the red-light area and open-air laundry). There would also be an additional charge to cover the extra distance that our car would have to come. If you wish to do a private tour with car transport and also see the other parts of the tour such as the red-light area and the open-air laundry, then contact us and we will try to arrange something. If you would still like to do the shared Dharavi Tour with Car Transport, you will need to be at our office at 8.30am. It will take about 80 minutes/80 minutes/60 minutes to reach by taxi so it would be an early start! If you still wish to go, then you might consider making your own way back to your hotel/residence after the Dharavi part of the tour. I am meeting you at Dharavi. How long does it take to get there? By train: it is a 15-20 minute walk to Churchgate station and then it takes approximately 45 minutes to buy the ticket and catch a “slow train” to Dharavi (Mahim Junction). By train: you need to go to Vile Parle or Santa Cruz Station and catch a “slow train” to Mahim Junction. Total time approx 30 mins.